With an investment of more than $50 million, Grupo Experiencias Xcaret will open its new adventure park, Xavage, this winter. 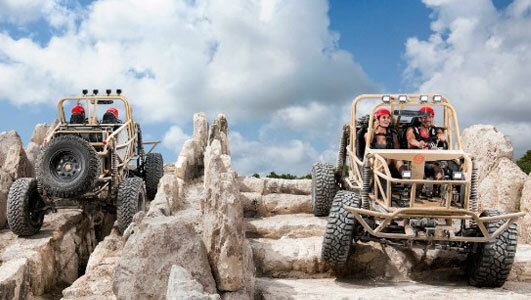 Xavage is the first day park that Experiencias Xcaret has in Cancun, and will complement the adventure offerings of its parks Xplor and Xplor Fuego, by integrating six activities with different degrees of difficulty, ranging from light to the most extreme. The activities are: Barracuda, a whitewater rapid adventure; Puma, drive a rock crawler on an all-terrain route; Dragonfly, board a jet boat that will sail at full speed through narrow channels; Hawk, the flight of the falcon with an exciting takeoff; Howler Monkey, the rope course that offers challenges in the heights; and Crocodile, a kayak adventure in extraordinary scenarios. Xavage will have the capacity to receive 3,000 tourists daily, operating from 8:30 a.m. To 5 p.m. It’s the seventh park of the group after Xcaret, Xel-Há, Xplor, Xplor Fuego, Xoximilco and Xenses, and adds to the offering of tours that the group also has through Xenotes and Xichén (archaeological zones).